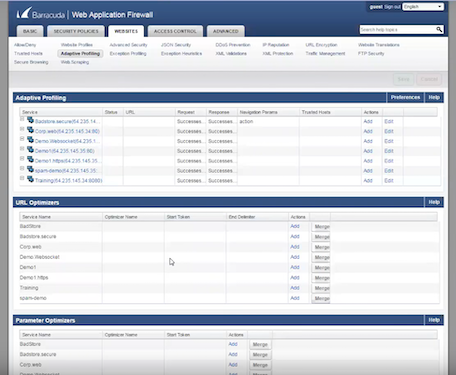 The Barracuda Web Application Firewall is a comprehensive application security and delivery platform that protects your web applications, mobile apps, and API endpoints from sophisticated, complex threats. Check out the gallery below to explore this product and see what customers and industry analysts are saying about Barracuda. Discover how Barracuda Web Application Firewall on AWS helps Smithfield Foods protect their expanding e-commerce workloads to the cloud. Barracuda wins four awards at the 2015 Info Security Products Guide's Global Excellence Awards. 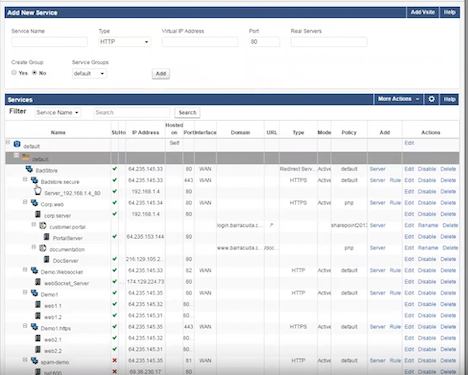 Get a comprehensive view of cyberattacks, web site performance, network performance, web server CPU utilization and bandwidth usage from a single view. The Web Application Firewall can protect all of your services, not just websites. The Web Firewall logs show the detail of every potentially threatening session hitting your server and automatically blocks thousands of potential attacks. Every website session is logged so you can identify all user activity, not just identified threats. 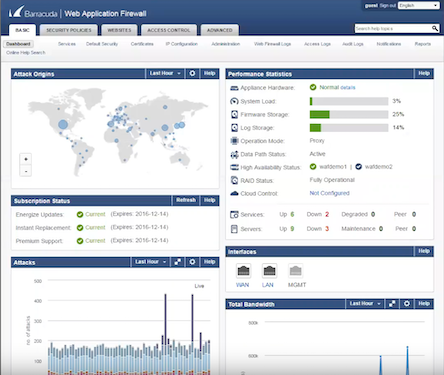 The Barracuda Web Application Firewall includes pre-defined security policies which you can copy and customize. You don’t have to be an expert at setting up security policies. 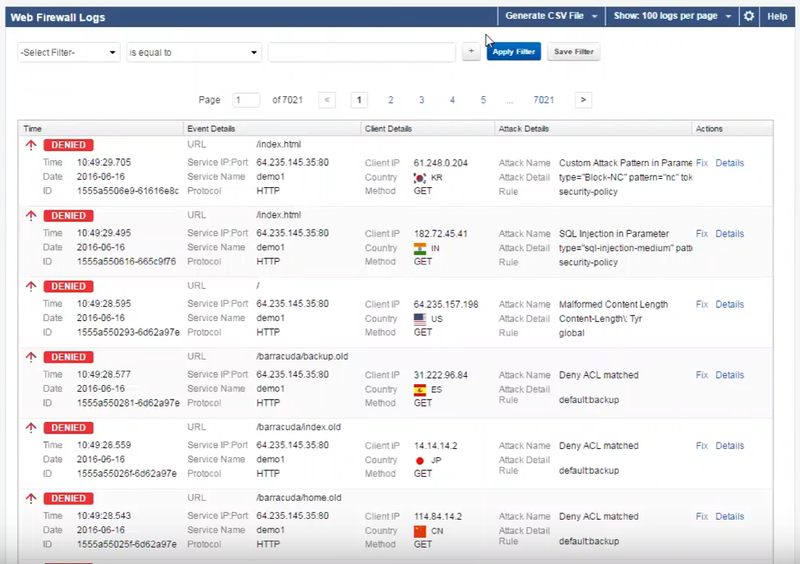 With Adaptive Profiling, the Web Application Firewall automatically learns which types of traffic to block. The Barracuda Vulnerability Manager crawls your websites for potential security vulnerabilities. 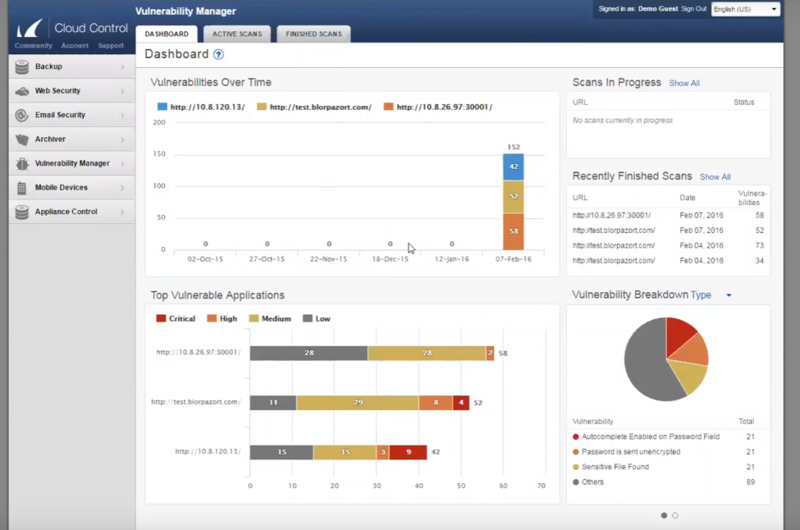 The vulnerability report can then be loaded into the WAF to automatically generate policies to fix them.